Kleeto, a service that enables companies and individuals to manage their physical and digital documents, is all set to operate out of Mumbai, Hyderabad, Chennai and Chandigarh. Currently, the service is being offered to companies and consumers in the Delhi-NCR region, as well as in Bangalore, as a 'controlled operation.' But the company is now set to unveil its offerings in new cities across India. "Very soon, we will launch kleeto in metros, followed by Tier 1 cities. We hope to offer pan-India services by next year," said Sunil Mahajan, co-founder of the Gurgaon-based Next Gen Paper Solutions Pvt Ltd, speaking to Techcircle.in. Launched in December, 2010, kleeto is adding 250 members per month. It has 1600 registered members (consumers) and eight corporate clients including Comviva and Meerut-based Shobit University. What It Does Kleeto has built upon the concept of record management (which is not a new concept for enterprises) and pivoted it. The company offers its services to retail consumers but its corporate clients get more than the plain vanilla storage services. The pain point that kleeto aims to address is the overflow of papers and documents, and the lack of a professionally managed service. "There is so much of information we manage in paper and digital form that we actually struggle to retrieve that when we need the relevant information. We either lose money or opportunity when we can't find the important papers or digital data on time, as we either misplace or lose them," said Mahajan. On the consumer side, kleeto is targeting people in the age bracket of 25-50 years, who have access to the Internet for its services. "Consumer and SMB segment is completely untapped. Given that volume of information consumers receive these days (in paper or digital form) and the volume of information the SMB sector generates, they definitely need help," added Mahajan. What are the types of documents that can be preserved? Here's a list. Small and medium businesses across IT, mobile software, manufacturing and export space are the target segments. Companies, who have not yet reached the ERP implementation stage, have on board 15-500 employees and generate revenues between a few crores to tens of crores, will require record management services, said Mahajan. The Beginning In March, 2010, Naresh Chand, Sanjay Dhawan and Sunil Mahajan extensively discussed their personal experiences regarding documents and information overflow. 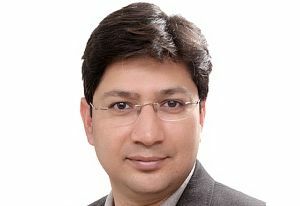 Dhawan was Sunil Mahajan's boss at Aricent and is currently the president and CEO of Symphony Services, a Bangaloreâ€“based software outsourcing services firm. The three finally decided to launch a start-up that would help manage documents for companies and households. The promoters rounded up 4-5 angel investors and in July, 2010, invested $400,000 to establish Next Gen Paper Solutions Pvt Ltd. Initially, the company instituted formal and informal surveys to explore the market and get feedback. And the results showed that there was a definitive need for such a service. In May, 2010, the three began to build an ecosystem around a record management service, looking around for partners who would help with logistics, development and components. Mahajan said that the idea was to outsource all non-core processes from the very beginning, to keep the costs low and run a lean operation. When the company launched its services in December, 2010, it had only 10 employees on its payroll. Today, kleeto has a 30-strong team and has four departments â€“ sales & marketing, operations, technology and support. "We used direct contacts and job portals to reach out, and were fortunate enough to get a few early employees with the right skills. Building a team for start-up and that, too, for a concept which has not happened before, was tough. But we found that people found it exciting and took pride in building something completely new, rather than opting for routine jobs," explained Mahajan. The decision to outsource to partners helped kleeto reach the launch stage quickly. The company has 4-5 partners who help in software development, general and social media marketing, digitisation and support, as well as logistics. By tying up with FedEx and DHL, kleeto is able to send messengers to homes and offices to pick up or deliver documents. Since it already has a pan-India presence, kleeto can undertake expansion without a large capex, said Mahajan. Meanwhile, kleeto will ramp up its operations cautiously. "We only want to recruit people with a passion to create something new and with some relevant experience of the domain," said Mahajan. Pricing & Savings There are two packages for consumers, offering different entitlements for physical & digital storage and number of trips for pick-up & delivery of physical documents. Kleeto Basic pack charges Rs 1200 for an annual subscription while the Premium pack is priced at Rs 2000. Besides retail, kleeto also services small and medium businesses, and offers customised packages. These are typically cheaper because of the volume factor. Kleeto plans to include more pricing slabs, as its customer base expands. It plans a kleeto Lifetime Subscription package which will charge 10 years' fees and provide service for 25 years. Companies using kleeto's service can save on space (rental), manpower (in terms of support staff) and time (quick access to information), and can also benefit from 24x7 access to information from anywhere. Kleeto management was unable to share an exact ROI amount, saying that savings vary from company to company. The Challenges The biggest issues are awareness-building and gaining consumer trust, according to Mahajan. Although we are surrounded with loads and loads of paper and struggle to find relevant information, the layman is not aware of the problem or a possible solution, he noted. We do not realise that important documents go much beyond property documents and degree certificates "there are warranty cards, purchase information, medical receipts and a lot more. We require these papers off and on, but may require them immediately for some specific reason and may not have too much time to procure them. Consequently, there is a need to keep the information organised so that people do not lose out on opportunities that require specific data. Mahajan described how the company tried to resolve it. "We started talking to people on a one-on-one basis and spread the awareness about the advantages of record management for consumers. Our early customers then shared their experience and we leveraged word of mouth as a marketing channel. Now, the challenge is brand-building. It's a new concept, a new service and a new brand. So positioning the concept across the markets is a crucial task. Asked why the service was named kleeto, Mahajan said that they did not want to register a name that would relate to paper. "We are an information management company, not just a paper management company, and do not want to be labelled as one. The world is going digital. So, paper should go away," he said. Online security of documents is not a big issue right now, but people are worried about it. And the company will act accordingly, keeping it in mind. What's On The Cards Kleeto has charted a three-pronged strategy to grow business. "Our one-on-one marketing will continue where kleeto will attract people directly to buy services. We will also work with corporate houses to position kleeto for their employees â€“ this will result in bulk deals. In addition, we will work with consumer service providers to offer kleeto through their channels as a supplementary service or co-branded offer," said Mahajan. According to Mahajan, the opportunities for the company lie in partnering with and reaching out to diagnostic labs, electronic retail chains, hospitals and schools. The company will also approach the government for document management projects in the next 6-9 months. With these growth strategies on the cards, Mahajan expects kleeto to become profitable in three years' time.